For the last 2 weeks, I've been having a lot of fun with the addon oQueue. If you haven't used this add-on before, it's something the helps breathe new life into the game. What does it do? oQueue allows users from cross-domains find each other. Players can setup a request for other players, post it out there. Then players see that request popup, and request to be put on the wait list. If the event organizer loves you, they can send you a meeting invite and off you go! This is the addon that Blizzard hopes their new Group Finder will replace. BUT will they go far enough? 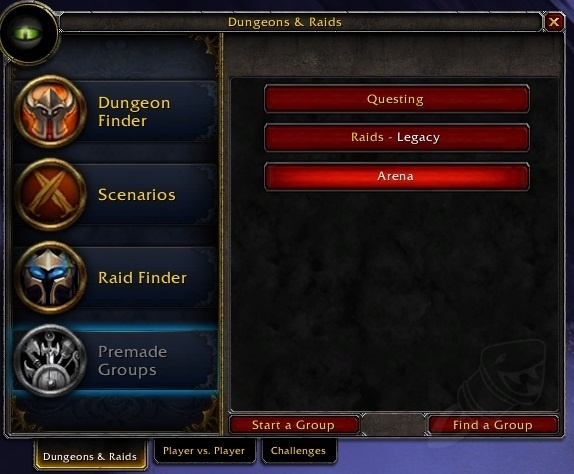 Another central innovation in Warlords is our Group Finder feature, which will allow players to easily form and search for raid groups (among other activities) with players from their entire region. [...] For players who want to take the next step beyond Raid Finder, or who want to find a weekend run for their alt, or who just need a last-minute tenth member for their raid, Group Finder will make that process easier than ever before. These last few days, oQueue has helped me find a party for a Heroic Scenarios (got a useless 516 neck), two celestials kills and hopefully later this week, Twinbraid. When I feel a bit more confident, I hope to start running Flex modes. People are advertising them as "FLEX 1" or "FLEX 4 Fresh".